Head of Content @ Ahrefs (or, in plain English, I'm the guy responsible for ensuring that every blog post we publish is EPIC). Founder @ The SEO Project. Google uses 200+ ranking factors and dwell time is one of those factors. Or is it? The truth is, dwell time is a confusing and misunderstood metric. I mean, what is dwell time? How is it measured? Is it REALLY a ranking factor? And if so, how the heck do you optimize for it? In this post, I’ll be answering all of these questions and more. I also reached out to some of the biggest names in the SEO industry to get their take on the matter. This post was originally published in 2016. But we gave it a MAJOR update in January 2018 to make it up‐to‐date. So don’t be surprised to see some old comments. They contribute to the topic and we could not just delete them. 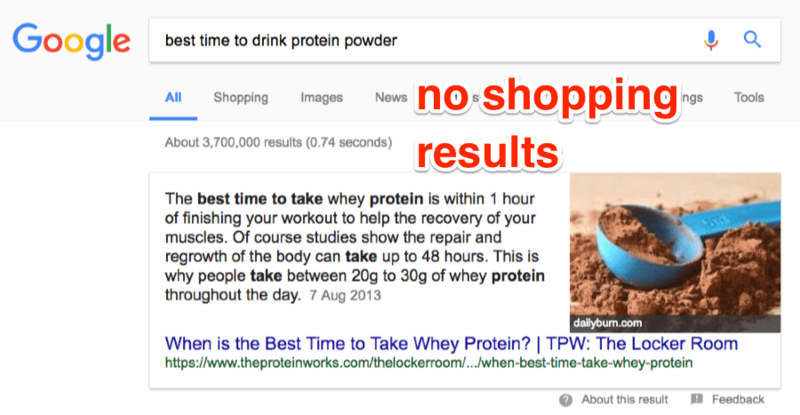 Dwell time is the amount of time that passes between the moment you click a search result and subsequently return back to the SERPs. I click the first result and spend a few minutes (5 minutes 14 seconds, to be exact) reading the content. Because I have a somewhat unhealthy obsession with learning, I decide I want to know even more. So, I head back to the SERPs (via the “back” button in my browser) to look for more content. This back and forth process between the SERPs and search results is also known as pogo‐sticking. My dwell time on that page, then, was roughly 5 minutes 14 seconds. But why does this matter for SEO? 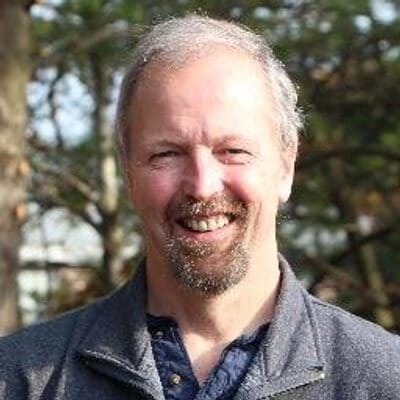 Dwell time was first mentioned by Duane Forrester—the then Senior Project Manager at Bing—in his 2011 blog post on the Bing Webmaster blog. 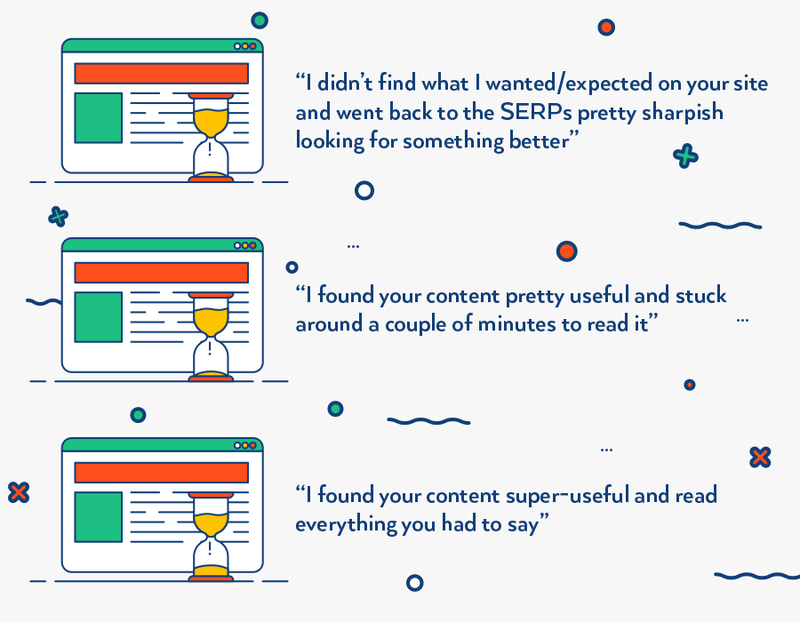 […] The time between when a user clicks on our search result and when they come back from your website tells a potential story. A minute or two is good as it can easily indicate the visitor consumed your content. Less than a couple of seconds can be viewed as a poor result. But still, why does this really matter to search engines? Your goal should be that when a visitor lands on your page, the content answers all of their needs, encouraging their next action to remain with you. If your content does not encourage them to remain with you, they will leave. The search engines can get a sense of this by watching the dwell time. 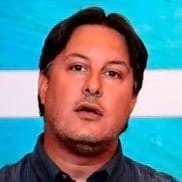 He’s basically saying that the longer someone stays on your website after coming from the SERPs, the more likely it is that they found your content useful. 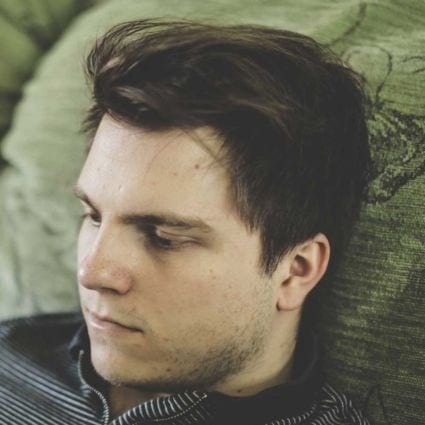 2 second dwell time: I didn’t find what I wanted/expected on your site. So, I quickly went back to the SERP to find something better. 2 minute dwell time: I found your content pretty useful and stuck around a couple of minutes to read it. 15 minute dwell time: I found your content super‐useful and was heavily‐invested in what you had to say. So, it’s not too far‐fetched to suggest that search engines could be using dwell time as a ranking factor. I mean, it definitely seems like a good way to judge the quality and relevancy of a given result, right? Dwell Time vs. Bounce Rate vs. Time on Page: What’s the Difference? In fact, I’ve seen SEOs use these 3 metrics interchangeably on many occasions. These 3 metrics are not interchangeable. Dwell time: the amount of time that passes between the moment a user clicks a search result and subsequently returns back to the SERPs. Bounce rate: the percentage of single‐page sessions (i.e. visitors who only visit one page on your website before leaving). These people may have returned to the SERPs or simply closed the page. It doesn’t matter which. It also makes no difference whether they stuck around for 2 seconds or 2 hours, it’s still a “bounce”. Time on page: the amount of time a visitor spent on your page before going anywhere else. 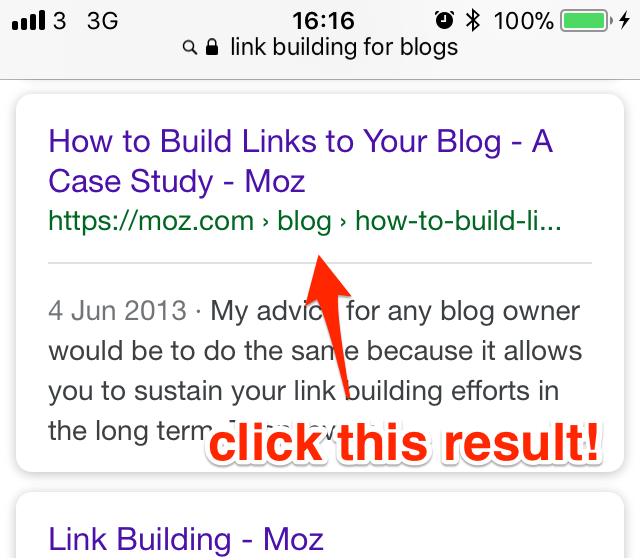 This could be back to the SERPs, to another page on your website, to a bookmarked page—anywhere. You won’t find any such metric for dwell time. If Google does use any form of dwell time metric as ranking factor, they aren’t sharing this fact (or any of the data) with us. Is Dwell Time a Google Ranking Factor? Right now, there’s no official statement from Google on whether dwell time> is, or isn’t, a ranking factor. Google is now integrating machine learning into [the process of figuring out what the relationship between a search and the best page for that search is]. So then training models on when someone clicks on a page and stays on that page, when they go back or when they and trying to figure out exactly on that relationship. Yes, this appears to confirm the notion that dwell time is a ranking factor. But, as Cyrus Shepard pointed out on Twitter, this isn’t quite the case. Google Brain is a deep learning artificial intelligence research project at Google. They don’t make the ranking algorithm. And, thus, this does not confirm that dwell time is a ranking factor. It’s also worth remembering that most people never go beyond the first page of search results. So if you rank on page two (or beyond), almost nobody will be “dwelling” on your page…not even for second. This means that dwell time would only kick‐in as a (possible) ranking factor for results in the top 10. Bottomline? 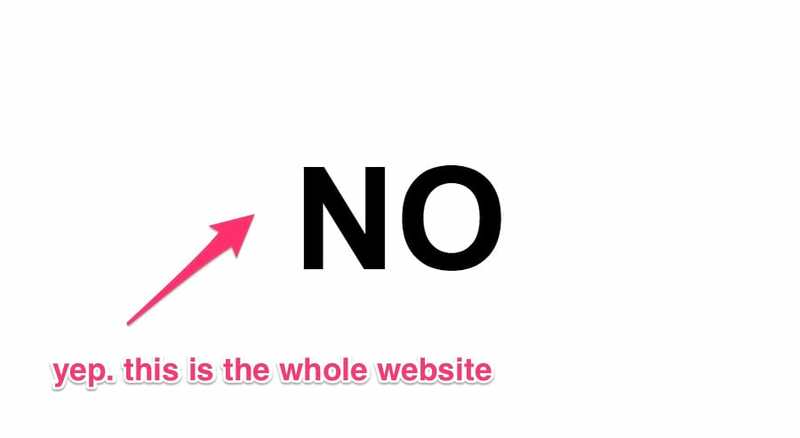 Unless you’re already on the first page, don’t worry about optimizing for dwell time. Your time is better spent optimizing for other (more important) factors that will get you into the top 10. 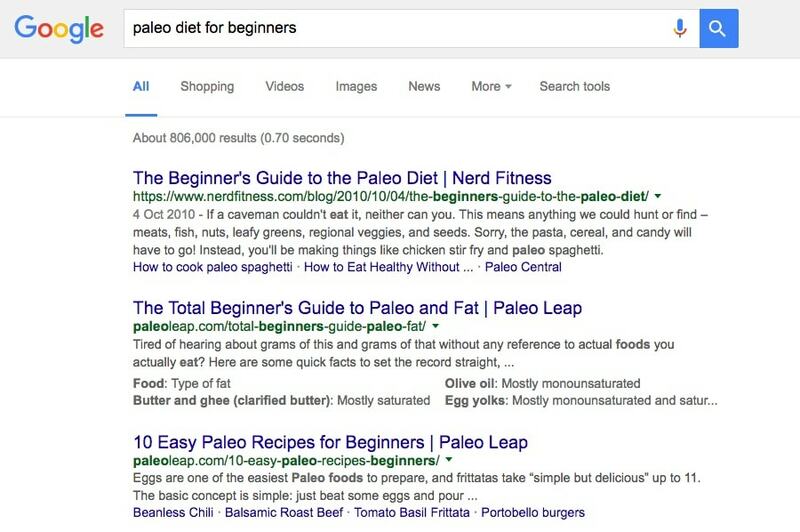 Let’s take the search term “paleo diet for beginners”. Anyone searching for this is clearly a paleo newbie. They’re looking for a beginner’s guide. If you’ve ever read this guide, you’ll know how extensive it is. It covers almost everything you could ever want to know about the paleo diet on a single page. It’s also well‐written and well‐presented. Basically, it fulfills searcher intent perfectly. 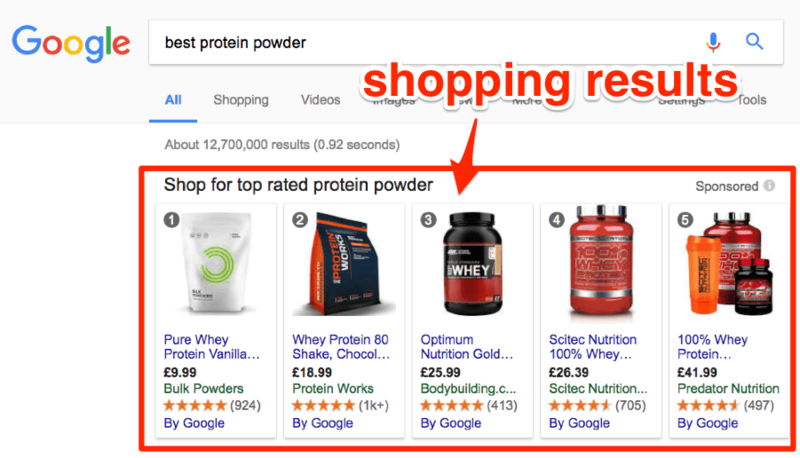 Most people would surely spend 15+ minutes reading this before (maybe) returning to the SERPs. In contrast, let’s take a look at this page (ranking #6 for the same query, at the time of writing). It doesn’t take long to realise that this is nowhere near as high‐quality as the guide from NerdFitness. Because of this, I estimate that the average dwell time for this page below 30 seconds. Bottomline: dwell time appears to be a good indicator of the relevance and quality of a given result. Bounce rate is pretty sketchy as a “ranking signal”, to say the least. Poor content — they didn’t like it, so they left. This makes it difficult to discern good and bad experiences, and/or if a page fulfills searcher intent by looking at bounce rate alone. To illustrate this, let’s go back to our previous example (the “paleo” one). Both page visits were technically bounces. But, the experience was very different for each site (i.e. good on one, poor on the other). Not only do these two (in reality, very different) visits appear identical, they also both state time on page of zero seconds. Clearly, this isn’t true. So what’s going on here? In order for GA to calculate the time on page, it needs two clicks: an entrance click and an exit click. If there’s no exit click (e.g. the user clicking through to another page on your website), GA can’t make a calculation. For sessions where the user only looked at one page (a “bounce”), the Time on Page and the Session Duration is 0. This isn’t because Google knows they left right away — it is because they didn’t have any indication of when the user left so they couldn’t calculate the Time on Page, and they consider the lack of a value means 0. It [“time on page”] could have been 10 seconds or 10 minutes; they don’t know, so they say 0. Did the user read your web page? They don’t know. Maybe. Maybe not. All we know is that they didn’t look at another page on your site within the next 30 minutes (that’s how long a default session lasts). And here’s another big issue with using bounce rate as a ranking factor: Google would need to mine Google Analytics data to do so. There’s no other way to discern the bounce rate of a page. 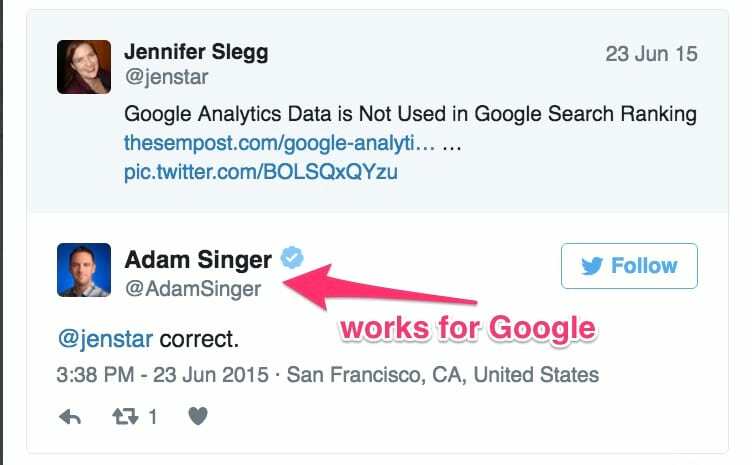 But, Google’s official stance is that they don’t use any GA data in the algorithm. So, by Google’s own admission, bounce rate is not a ranking factor. Now, it’s never a good idea to take everything Google says as gospel. But, in this instance, they’re most likely telling the truth. So, even if Google was secretly analysing bounce rate data from GA, chances are it wouldn’t be of much value. This is why dwell time (potentially) trumps bounce rate as a ranking signal — dwell time data is easier to collect, especially for Google. Let’s assume you Google “iPhone 8 review”. If/when you click a result, Google could start a kind‐of virtual stopwatch. And when you return back to the SERPs, they would stop it. Now they know exactly how long you spent on that site (i.e. your dwell time). Chrome browser data: According to the latest figures from W3Schools, 72.4% of people now use Chrome. Chrome is Google’s own browser, so they probably know when you click the “back” button and return to the SERPs. 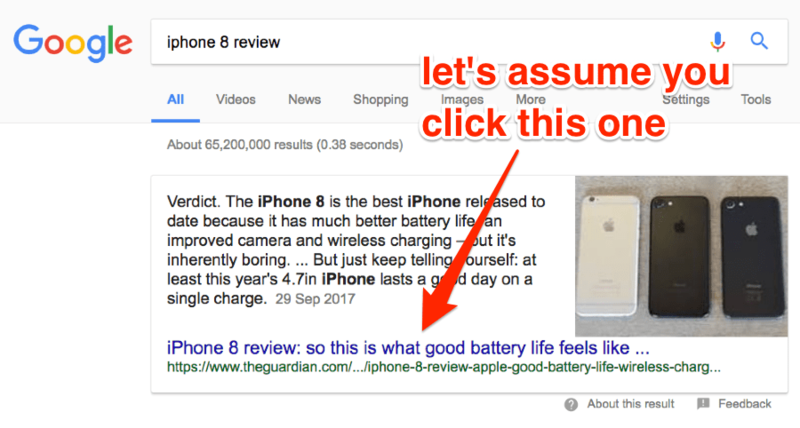 “Next click” analysis: If you go back to the SERPs, it’ll probably only be a couple seconds before you click‐through to another result. Google could wait for this click and thus, decipher a rough dwell time for your previous click. It’s clear, then, that with a bit of data mining, Google could uncover some useful data from analysing dwell time. It’s Something Google Is Actively Tracking…RIGHT NOW! Wait for the page to fully‐load, then hit the back button. Google has now added a scrollable list of related searches under the result you clicked. If this doesn’t work for you, try clicking another result on the first page — it seems to work with most. Also, I only tried this on my iPhone, so I have no clue if it works on Android devices. This makes sense. You returned to the search results, which likely means you didn’t find what you were looking for. So, Google offers up some related searches to help. This proves that Google monitors so‐called pogo‐sticking (at least on mobile devices). And if they’re monitoring this, chances are they’re monitoring dwell time, too. This does not prove that dwell time is a ranking factor. It only proves that Google monitors it to improve the user experience. Still, it’s not that much of a leap to suggest that this data may come in useful to influence rankings, too. So, the idea of Google using dwell time as a ranking factor seems pretty logical and quite likely, right? Well, as the saying goes: if it seems too good to be true, it probably is. Let’s take the search query “when did robot wars stop airing?”, for example. At the time of writing, this doesn’t bring up a knowledge graph result. So, you have to click through to one of the results to find the answer. If you click through to the top result (from Wikipedia), you find the answer in the first sentence. Because the answer was quick to find, you’ll most likely return to the SERPs after a few seconds. Dwell time, then, will be pretty low for this query, on average — likely less than 10 seconds. But, this doesn’t correlate to a bad UX; you found the information you were looking for (and more) in seconds. There are many scenarios where SHORTER dwell time is an indication of quality. For example, anytime someone is looking for a quick piece of reference information, such as a zip code or phone number for a business. For informational searches like these, you want to design your pages, so users find what they want pretty much immediately. So, in this example, a short dwell time doesn’t align with a negative experience. The #1 result was the best and most relevant result for this query. “AFA” results are those that, at first glance, appear to offer exactly what you were looking for. But, upon further inspection (which takes time increases dwell time), you realise this isn’t the case. I was recently looking for a Google Sheets template capable of scraping Google search results. 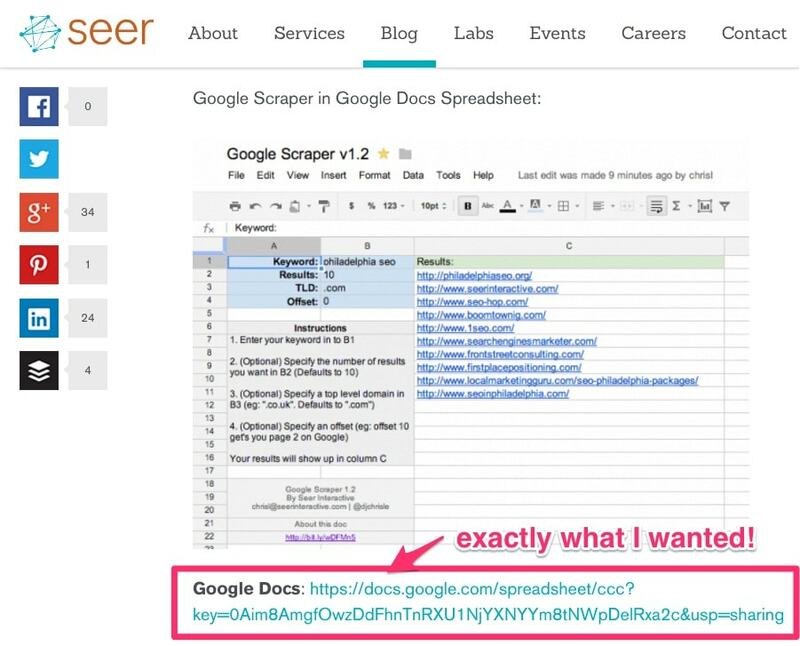 I searched for “google results scraper google sheets” and clicked the top result, which was this page from SEER Interactive. At first glance, this looked perfect. I clicked through to the included Google Sheets template (which opened in a new tab, so I never left the SEER website), made a copy, and tried it out. But, after a couple of minutes, I realised the spreadsheet no longer worked and was giving an error. So, I went back to the SEER tab (I never closed this) checked the comments to see if others were having the same issue. I then returned to the SERPs to continue my search. So, although my dwell time here was high (5+ minutes), my experience was still a negative one. The page didn’t fulfill my needs and, honestly, doesn’t deserve to rank in the top 10 until it’s fixed. One more scenario in which dwell time might be a false flag for content quality and user satisfaction: shopping. Often when I’m shopping, I may click back and forth rather rapidly among multiple results because I’m just at a stage where I’m comparison shopping, maybe for price or certain features. Everyone I know does this when comparison shopping. You click a result, check the price, go back and click another. Rinse and repeat, until you find the best price. But, “pogo‐sticking” around like this creates a scenario in which dwell time isn’t a great way to discern quality or relevance. This is because there’s no real issue with any of the results—you’re just being a savvy shopper. So, does this completely rule out dwell time as a ranking factor? Google is smart. We know for a fact that they can discern queries with commercial intent. How? Because they only display shopping results for such queries. Google is smart enough to realise that although these queries are similar, only one has commercial intent. And as they’re smart enough to do this, they’re almost certainly smart enough to ignore dwell time when pogo‐sticking occurs. Or for certain queries. So, even if dwell time is a ranking factor, it probably gets ignored for shopping‐type queries. Do not get obsessed over these metrics. Instead, focus on creating great content and providing a great UX. Do this and you won’t have to worry about improving dwell time — it’ll take care of itself. 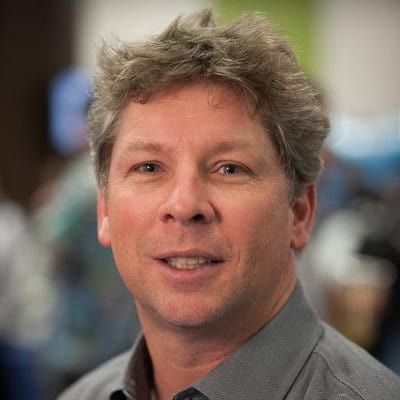 I reached out to Danny Sullivan (founder of Search Engine Land) to ask his opinion on all this. But, this doesn’t always mean creating longer content. Sometimes the most deserving result for the #1 spot is the most succinct piece. I bet if you ran an experiment to measure the average dwell time on millions of websites and their ranking positions in the SERPs that you would see a strong correlation between dwell time and ranking. Does that mean that I think dwell time is a ranking factor? NO. It just means that there are more searches where a long dwell time means a user is happy than there are searches where a short dwell time does. There are also likely many searches where dwell time is irrelevant as a measure of quality too. Eric’s point about there being “many searches where dwell time is irrelevant as a measure of quality” is an important one. For example, the #1 result for the query “is it Christmas?” is isitchristmas.com. This is a one‐page, one‐word website. This is by far the best result for this query, even though dwell time will likely be very short. Pretty relevant and clickable result, right? This is a prime example of targeting the wrong keyword. Something like “learn SEO” or “SEO for beginners” would be a better fit for this piece. As it stands, the content doesn’t fulfill its promise — the advice is basic, not advanced. Because of this, most users will quickly head back to the SERPs in search of a more relevant result. In the long run, what Google wants to see is who are the types of people that represent the very best match for your site. It’s obvious who those are – your prospects. Serve them extremely well, and you align your goals and those of Google in the best way possible. 3. Slow‐Loading Website? Intrusive Ads? STOP! Make UX/UI Your TOP Priority! For me, this is an instant “back” button situation, which makes my dwell time no more than a couple of seconds. But this isn’t the only contributor to a poor user‐experience. You may have noticed (from the GIF above) that the website was pretty damn slow to load. Remember, 47% of people expect a web page to load in 2 seconds or less. 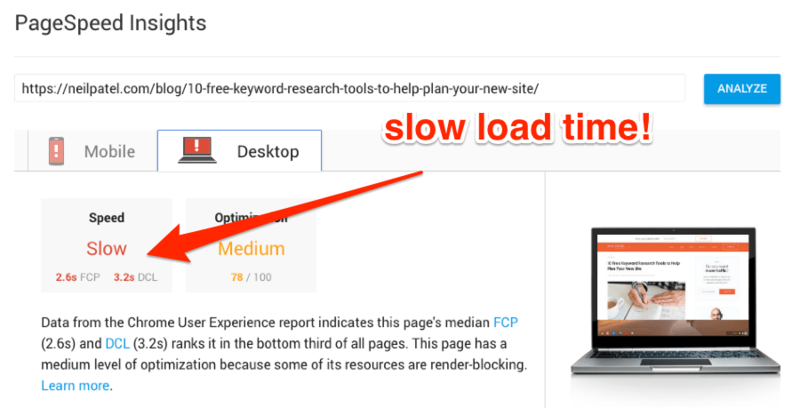 So, if your website is too slow, people will click back to the SERPs before it even has a chance to fully‐load. If this happens, they won’t ever see or engage with your content, and dwell time will be zero. Layout: Your website’s layout should prioritise your content and ensure easy digestion. Remember, people only only ever one click away from thousands of other results. They aren’t going to read your post if it’s written in yellow Comic Sans on a white background, no matter how good it is. Design: Ugly websites rarely instil a sense of confidence that leads the user to stick around for very long. So, make sure your design resonates with and appeals to your target audience. Mobile‐optimization: Many websites still aren’t optimized for smaller screens, even in 2018. 9 times out of 10, this is another instant “back” button situation for me (so, dwell time is close to zero). So, even if you’re pretty sure that your website is mobile‐optimized, do me a favour and double‐check. Pageless scrolling: Implementing pageless scrolling works wonders for websites with a lot of multi‐page content. Why? Because the easier it is to continue digesting content, the more chance there is that people will do so. For example, look at Facebook/Twitter. How many times have you sat scrolling through their seemingly never‐ending news feeds? Ads: Nobody likes intrusive ads, and Google knows this. In February 2018, Google Chrome (55%+ market share) will begin blocking such ads by default. So, don’t bother plastering ads everywhere — you won’t make much money from them anyway. 4. Sprinkle Internal Links Throughout Your Content…BUT Make Sure They’re RELEVANT! Internal linking isn’t about funnelling PageRank around your website (although there are benefits). It’s about improving the experience for your visitors. Google Sheets is one of the tools mentioned on our list of 70+ free SEO tools. Below this mention, we link to our list of 10 Google Sheets Formulas Every SEO Should Know. This works because we’re directing visitors to content they may also want to read. And it makes sense within the context of the article. It also increases the likelihood that visitors will view more than one page on your website. This reduces bounce rate, increases dwell time and increases overall engagement. Not all content is evergreen. In 2016, we published a mammoth list of 200+ SEO tips. But, SEO is one of the least evergreen topics out there. And, when we reviewed the post in 2017, we realised a lot of the tips were out‐of‐date. We also noticed that many of the 200+ tips were nothing more than high‐level fluff. 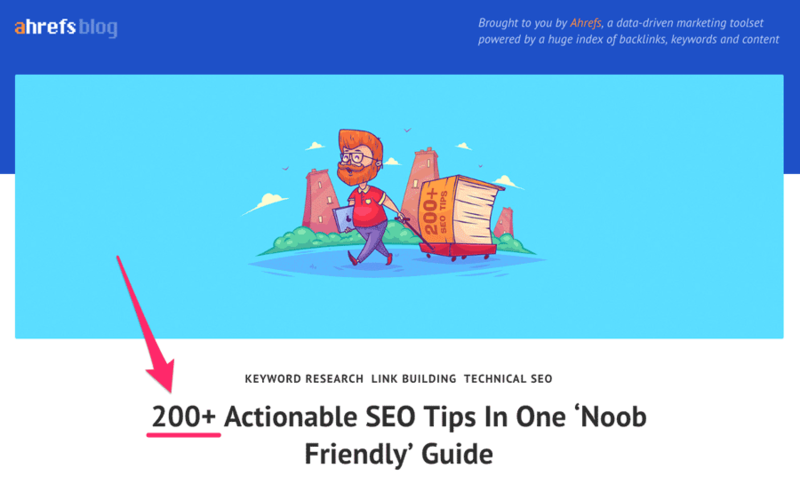 So, we decided to remove the junk and cut the post down to the best 75 tips. We update posts like this all the time on the Ahrefs blog. We recommend you do the same. Why? Because people are more likely to trust recently updated articles. This results in increased CTR in the SERPs, reduced dwell time, and better engagement in general. Dwell time is definitely something Google has researched and toyed around with. But, this doesn’t mean it’s a ranking factor. Or even a remotely reliable way of judging the quality and relevancy of search results. No. When it comes to Google, there’s only one certainty: They want to make their users happy. And this means showing the best, most relevant result in the #1 spot. Your job is to be that result. So, craft great content that aligns with what your target audience wants. And make sure your website is a pleasure to visit. Do these two things consistently and you won’t have to worry about dwell time. Head of Content @ Ahrefs (or, in plain English, I'm the guy responsible for ensuring that every blog post we publish is EPIC). 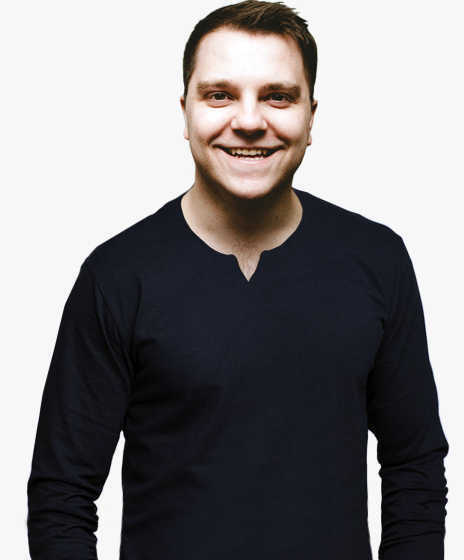 Founder @ The SEO Project.